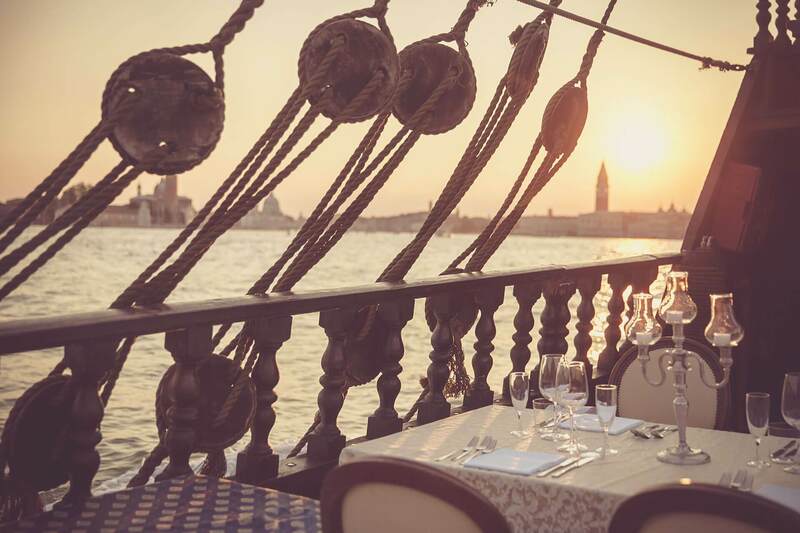 Intimate candlelight dinners combined with unique and refined food tastings, presented with flair and elegance in the unique setting of Venice. 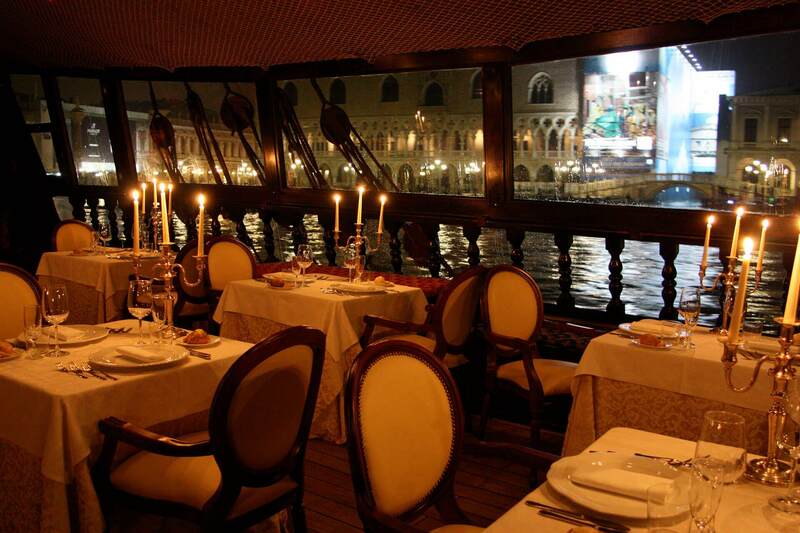 The warmth of wood, along with the soft glow of candles and attentive service that is always discrete will pamper you on this journey between the canals and islands of the Venetian lagoon, embellishing the passing panorama you'll be able to admire from a privileged position during the dinner. Buy now your Galleon Dinner Cruise! 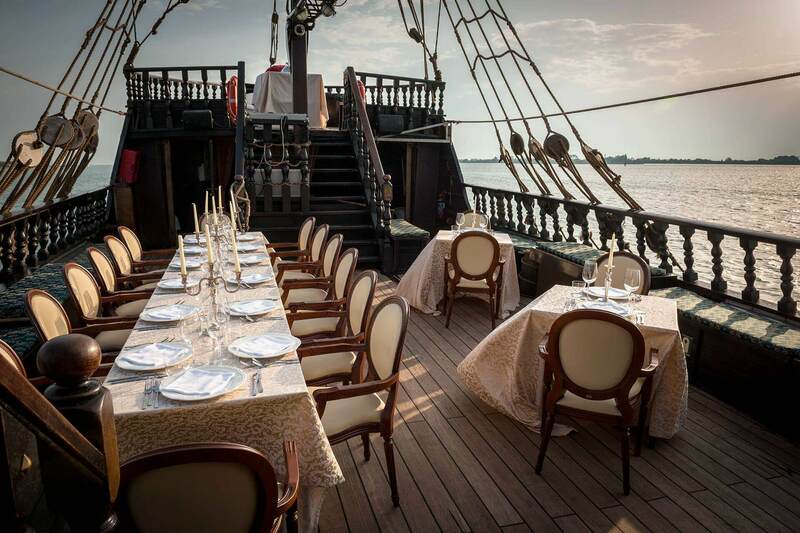 In the manner of an aristocratic Venetian feast, the Galleon will make its grand entrance into the basin of San Marco, offering a seductive panorama of the Piazza and its palaces. Pleasantly immersed in this enchanting atmosphere, you'll be able to savor an elegant dinner with background music, for an unforgettably emotional experience.